The online order and delivery service says orders on Long Island rose 10 percent last week. Many Long Islanders were bundled up at home during last week’s snowstorm but that didn’t interfere with their craving for fast food. Uber Eats, an online food ordering and delivery service, saw a 10 percent increase in orders nationwide, according to Uber, the San Francisco-based ride-sharing company that launched Uber Eats in 2014. 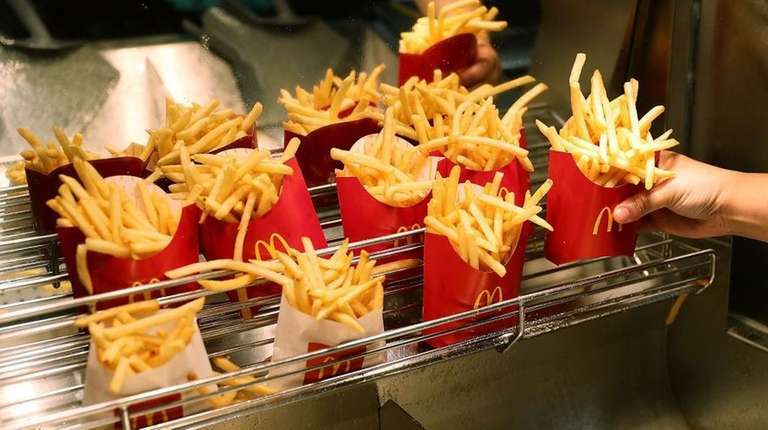 While tacos were the most popular Uber Eats orders in areas hit by the storm across the country, McDonald’s fries topped the list on Long Island. Here are the most popular foods ordered on Long Island during the snowstorm, according to Uber. Pizza was the most popular Uber Eats order in Washington, D.C., while customers in New York City opted for chicken & waffles most often, Uber said. Philadelphia stayed to true to form with orders for Philly cheesesteaks.